For 85 years, starting in 1915, baseball in Albuquerque meant the Dukes. Though not continuously there until 1962, it was a team that grew up with the city, and its mascot, a smiling conquistador, reflected Albuquerque’s own complicated history—especially its founding, under the Spanish Duke of Albuquerque, in 1706. Read more: The Story of Hatch Green Chile. In 2000, however, that legacy came to an end when a new owner took the team to Portland, Oregon, where it briefly wore the name “Beavers” before the franchise ended in 2010. 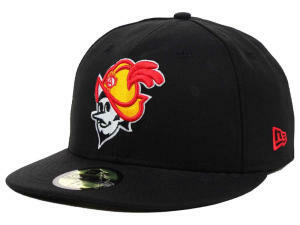 Albuquerque acquired a new team, the Isotopes, but the love for the Dukes never faded. Now, after 18 years, the Duke himself is back and seemingly more popular than ever. His friendly grin, black goatee, and cartoon eyes peer out from beneath a Spanish helmet on baseball caps, jackets, and decals all over town. There are two men to thank for the resurgence: Fred Matteucci, a longtime fan who was a “Duke of Baseball” booster in the 1970s, and Steve Palmisano, a video producer and editor who grew up watching Dukes games. The pair acquired the Dukes’ abandoned trademarks and, in 2016, opened a store devoted to the team and to keeping the Duke himself alive for a new generation. 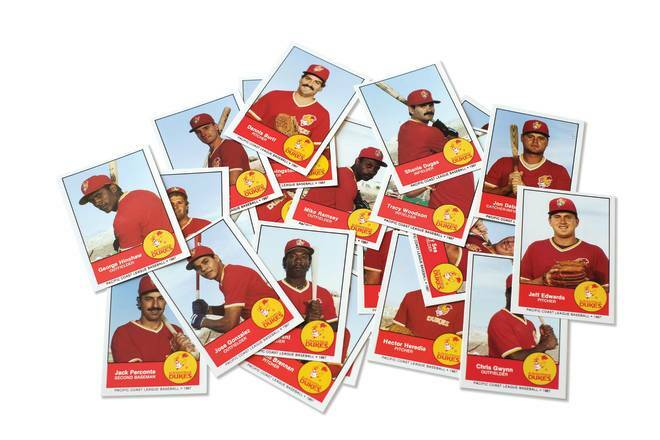 The Albuquerque Dukes fan site sells a wide variety of clothing and products featuring the team’s logo and mascot.